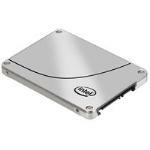 Intel DC S3500 Series OEM SSDSC2BB240G401 240GB Expert Reviews - Read Reviews and Buy Smarter Online. Verdict: It's difficult to believe, but we wrote our SandForce SF-2000 Series introduction article at the start of 2011. At the time, the market was ready to move from SATA 3Gb/s to SATA 6Gb/s, and SandForce was our hero. SandForce came on the scene fast, and dominated the SATA 3Gb/s market. Cons: The numbers the write speed that they claim to be able to go to is way off. I understand it is "up to 490 mb/s", but I am getting averaging around 320 mb/s, and that is testing with the smallest file size possible, it gets worse as the file size gets bigger. Verdict: I am almost certain that someone pulled a fast one and just switched out the sandforce controller, which intel was originally supposed to come with, with a different and cheaper controller. I will get back to my findings later. Verdict: Better to buy it on Sale. Verdict: I was not going to get a solid state when I started building my computer but a friend insisted on getting this drive, so I gave in. I am very glad I did in my opinion it is worth it! I would even recommend going to a larger size if you can afford it. Verdict: I was looking for reliable Ssd and Intel 530 series was ideal. Technical specifications made me believe that I would obtain ~500 read and write speeds. But on my Mac book pro 2011, I recorded 250 write and 495 read speeds. Verdict: WAs very surprised and please to find the Intel SSD I was looking for at a lower price than other sites and free shipping, which was fast. Shopping here for more items from now on! Verdict: This made my mid 2012 Macbook Pro boot in about 10 seconds. Software runs fast and smooth. I have another 80GB 320 series SSD made by Intel in my desktop and this one is considerably faster. Haven't tried Samsung's EVO series but Intel products have always been reliable for me so no need to.